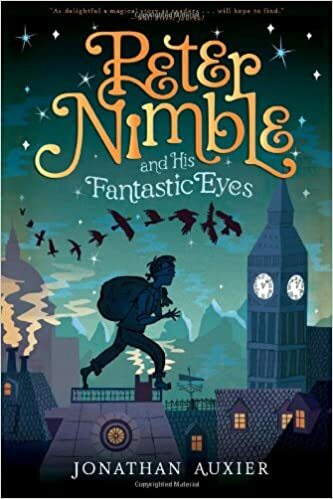 Peter Nimble and His Fantastic Eyes is the utterly beguiling tale of a blind 10-year-old orphan who has been schooled in a life of thievery. One fateful afternoon, he steals a box from a mysterious traveling haberdasher—a box that contains three pairs of magical eyes. When he tries the first pair, he is instantly transported to a hidden island, where he is presented with a special quest: to travel to the dangerous Vanished Kingdom and rescue a people in need. Along with his loyal sidekick—a knight who has been turned into an unfortunate combination of horse and cat—and the magic eyes, he embarks on an unforgettable, swashbuckling adventure to discover his true destiny.